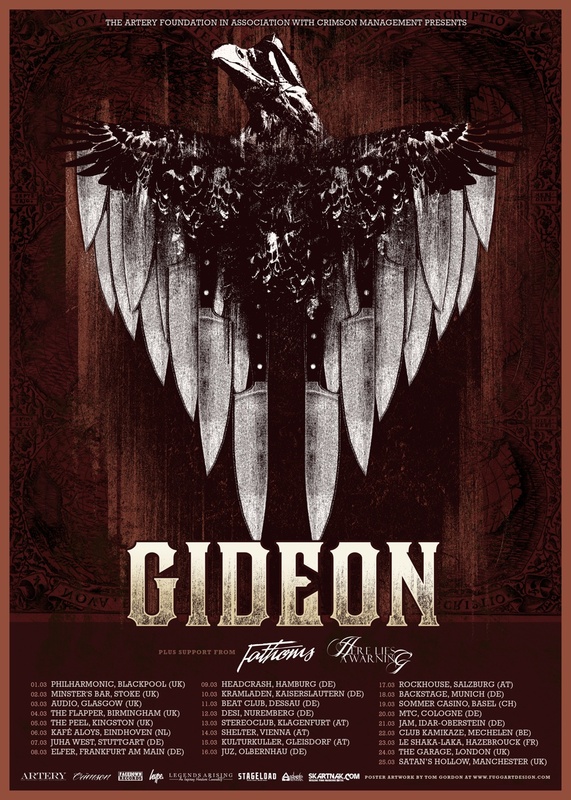 We’re very proud to present Gideon‘s debut European tour and therefore we’re giving away 2×2 tickets for their show at Kafee Aloys in Eindhoven (NL) on March 6th. Winning is easy: head over to our Facebook-page, find the below poster, and TAG yourself. We’ll announce the winners on Monday March 4th. GO! Tags: Competitie, Contest, Eindhoven, Gideon, Kafee Aloys, Nederland, Netherlands, NL, Tickets, Wedstrijd, Win. Bookmark the permalink.